This research consortium, involving scientists from four institutions in the UK (the Geography and Earth Science Departments of Royal Holloway University of London, the School of Archaeology in Oxford University, the National Oceanography Centre and the Department of Archaeology in Southampton University, and the Natural History Museum), has been awarded £3.4 million to develop a novel approach to assessing how humans may have responded to rapid environmental changes in the recent past. 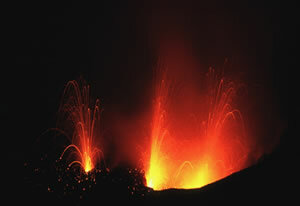 Funded by the Natural Environment Research Council, the RESET consortium (Response of Humans to Abrupt Environmental Transitions) brings together experts from a number of different academic fields: human palaeontology, archaeology, oceanography, volcanology and past climate change in order to investigate how our ancestors coped with rapid changes in climate during the last 80,000 years. What caused major shifts in recent human evolution and adaptation have been the subject of much debate for the last 100 years. Ice-core records from Greenland have shown that marked climatic change can occur over as little as 20 years or less. How humans responded to such environmental change is of relevance today because of modern global warming. Currently such studies are compromised because of the inability to synchronise archaeological and geological records with sufficient precision. Geological dating methods are all subject to statistical uncertainty which means establishing the precise temporal relationships between archaeological events and abrupt changes to the environment remains elusive. Until a solution is found, answers to many vital and intriguing questions about our recent past will continue to be subject to intense-debate. RESET aims to construct a new improved chronological framework for Europe using volcanic ash layers (tephra horizons) which represent time-parallel signatures allowing archaeological and geological records to be linked. Volcanos throw large volumes of tephra into the atmosphere which is carried by air movements considerable distances from source. 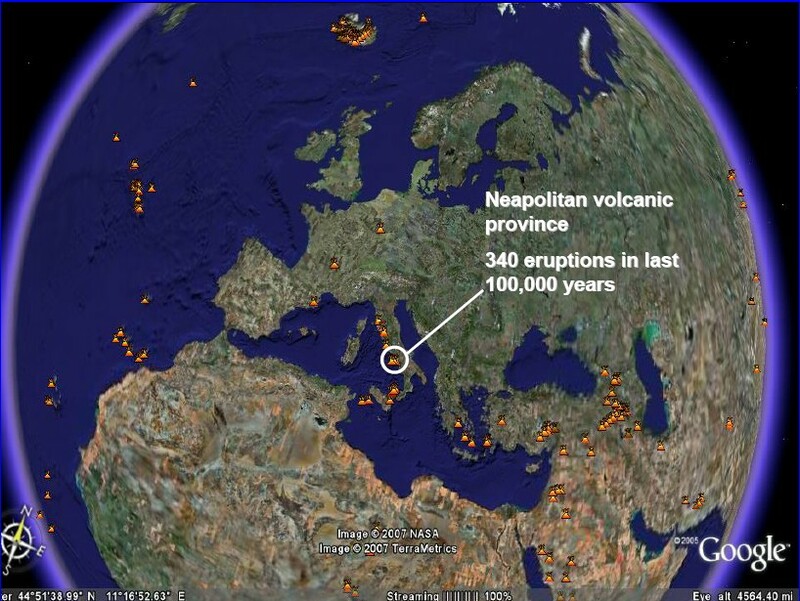 For example, tephras from eruptions in southern Iceland, central Italy, the Eifel region of Germany, and the Massif Central region of France reach many parts of Europe where the ash is laid down as layers in lakes, peat-bogs, the sea floor, archaeological sites, and the Greenland ice cap. By studying the geochemistry of the tephra horizons, it is possible to 'fingerprint' the eruptive events thereby allowing the construction of a framework which will permit the precise order of events to be resolved. The resulting lattice is expected to give answers to many of the long-standing debates about climate history and the impact it has had on humans.